Readers can't get enough of Roz Chast. 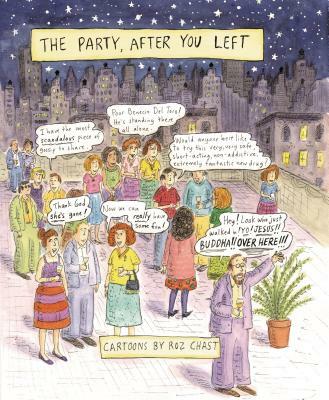 Now the classic collection The Party, After You Left is back in print. Together, these cartoons, which originally appeared in The New Yorker, Scientific American, Redbook, and other publications, constitute a spot-on record of our increasingly absurd existence. The book is a powerful reminder of how lucky we are to have Roz Chast among us to tackle some of the toughest themes of the times with uproarious humor: genetically altered mice, birthday parties from hell, and comfort drinks in the age of insecurity. Roz Chast was born in Brooklyn and now lives in Connecticut. Her cartoons have appeared in countless magazines, and she is the author of many books, including The Party, After You Left. She attended Rhode Island School of Design, majoring in Painting because it seemed more artistic. However, soon after graduating, she reverted to type and began drawing cartoons once again.